Anti-drone campaigners vowed to continue fighting for greater transparency on the use of armed drones despite losing an appeal against the Ministry of Defence’s refusal to share more information about the UK’s use of armed drones in Afghanistan. Last week at the UN General Assembly two UN Special Rapporteurs urged the three countries that are currently using armed drones – the US, Israel and the UK – to be much more transparent about their use. In sharp contrast the Information Tribunal has agreed the MoD can withhold basic details about UK drone strikes in Afghanistan. Chris Cole, Director of Drone Wars UK, appealed to the Information Tribunal on the MoD’s refusal to answer two Freedom of Information requests about the location by province of UK drone strikes in Afghanistan and whether each of the weapons launched had been pre-planned or launched under dynamic targeting procedures. The MoD refused the information arguing it was exempt under Section 26 (‘prejudice to the capability, effectiveness or security of the armed forces’) and Section 27 (‘prejudice to relations with another State’). The MoD, however would not say in what way this basic information could prejudice the UK or allied forces. Over the past five years the MoD has refused to answer many Freedom of Information (FoI) requests and parliamentary questions about the UK’s use of armed drones in Afghanistan. Chris Cole, Director of Drone Wars UK, challenged the MoD’s refusal to answer two specific requests. The first, in January 2012, sought the location by Afghan province of each weapon launched by British Reapers with the second, in May 2012, asking whether each of the weapons launched had been pre-planned or launched under dynamic targeting procedures. The MoD refused to give the information arguing it was exempt under Section 26 (‘prejudice to the capability, effectiveness or security of the armed forces’) and Section 27 (‘prejudice to relations with another State’). The MoD, however, would not say in what way the information could prejudice the UK or allied forces. In many respects the appeal revolved around whether the information we sought was in fact capable of ‘prejudicing the capability, effectiveness or security of the armed forces’. While this exemption is subject to a public interest test, the public interest would – as the Tribunal stated in its judgement – have to be very high, to release information that could be shown to endanger British forces in Afghanistan. While we believe that the information sought is not capable of prejudicing the armed forces, the MoD’s argument is that the Taliban are able to change their tactics in the light of information about ISAF activities and this could prejudice UK and allied forces. We argued that the fact that British UAVs are undertaking drone strikes in Afghanistan is not news to the Taliban. Nor would the Taliban, we reasoned, be able to glean any specific information about how UK drones operate from where British drones had taken place, particularly if the locational information was limited to mere province rather than the specific district within province, or indeed by the specific location itself. In addition we submitted that the MoD had since 2010 for PR purposes given certain details of UK drone strikes some with much greater locational detail greater than we were seeking. In addition, we argued that the information we sought was related only to a tiny portion of the mass of air strikes taking place in Afghanistan and would therefore not be able to provide the Taliban with any helpful information. 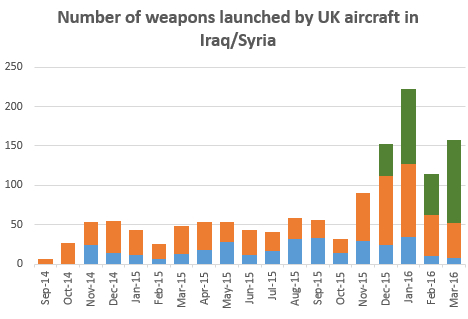 For example out of the 5,409 weapons launched from Coalition aircraft in 2011, we were seeking to know the province in which 110 UK drone strikes took place – less than 2% of the total figure. 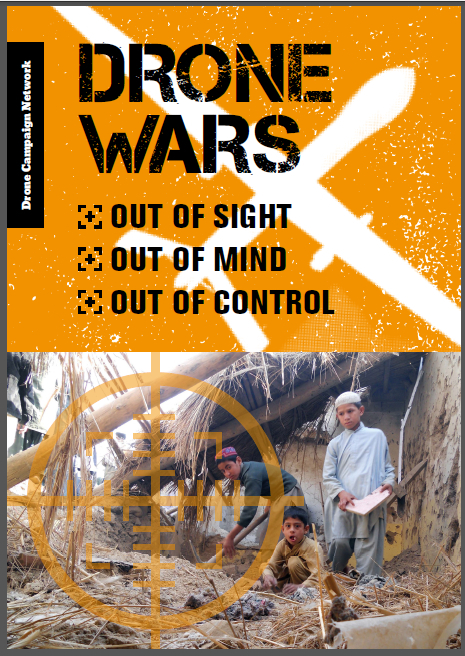 With regard to releasing information about whether the balance of UK drone strikes are pre-planned or launched ‘on the fly’ – again it is very difficult to see how this can be of use of the Taliban and therefore of prejudice to UK armed forces. The MoD put forward a UK Squadron Leader with more than 1,000 hours of flying remote-controlled Reaper drones over Afghanistan as a witness. (His witness statement is here – we have agreed to redact his name at the request of the MoD). We are of course unable to know or judge that information. In that at least, the Tribunal agreed with the growing consensus, most recently articulated by two UN Special Rapporteurs at the UN General Assembly this month, of the need for greater transparency. We absolutely agree with the Information Commissioner and disagree with the Tribunal The information being sort in this case is not a ‘magic bullet’ which will confirm or allay all concerns about the growing use of armed drones. Such information (for example the specific circumstances of each weapon launch) has been refused in the past by the MoD and it is unlikely at this stage of military operations that an appeal to overturn the refusal would be successful. 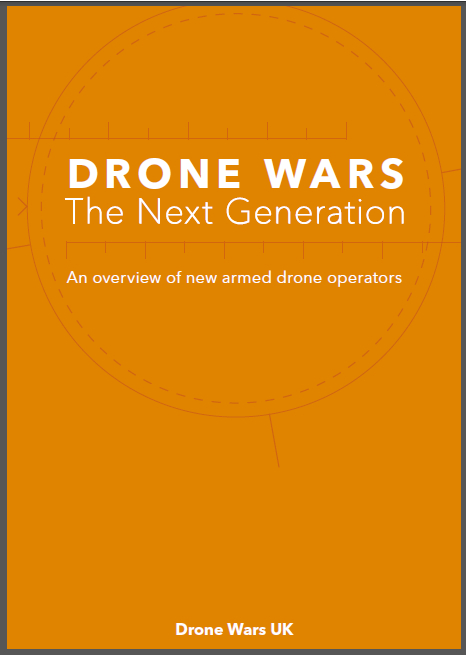 However the locational information will show if UK drones are being used mainly – as many supporters of drones claim – to protect British troops who are overwhelmingly within Helmand province, or if they are being used for other tasks far beyond Helmand. Knowing whether weapons are launched at pre-planned targets or at targets decided ‘on the fly’ will inform the debate as to whether drones ability to loiter for long periods of time over a particular area looking for suspicious behavior‘ or at ‘targets of opportunity’ ‘is in fact leading to more strikes. We believe the Tribunal has erred in accepting the MoD’s position, seemingly without question, that to answer our FoI request “would add something more to the information already in the public domain” which could possibly lead to a change of tactics by the Taliban and therefore prejudice UK forces. The MoD are of course entitled to rely on the qualified exemption of Section 26 of the FoI Act (prejudice to the security of UK armed forces) but we would argue that evidence for this must be put in the public domain. We believe that to allow the MoD to use this exemption, as well as allowing them to withhold evidence about how it qualifies for exemption, undermines the fundamental purpose of the Freedom of Information Act. We are extremely grateful to our lawyers. Counsel was Sam Jacobs of Doughty Street Chambers, instructed by our solicitor Daniel Carey of Deighton Pierce Glynn. Both acted on a pro-bono basis and we could not have undertaken this action without their support.